Take a leap of faith and trust that any change in your life is part of your growth process. I know it might be difficult to accept. However, it is clear that we go through cycles in life and when a new cycle presents itself it is best to respond to it from the understanding that you are ready to move on and to let go of past memories, which were very painful. 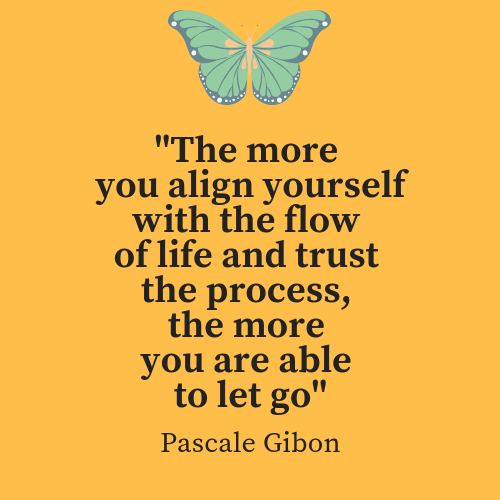 The more you align yourself with the flow of life and trust the process, the more you are able to let go. It might feel overwhelming to suddenly embrace something new because of the fear of the unknown and the unfamiliar. In addition, you might feel the fear of being disappointed. However, do you remember your first ever job where everything seemed unknown and uncomfortable at first? How long did it take you to turn things around, it was just a matter of time; a few months. I want you to remember therefore that with time things do get better, familiar and worthy. With practice anything unfamiliar suddenly becomes familiar. It is like a child learning to walk for the first time. Choose to be free instead of being right. If you currently hold grudges against someone for example you are attached to the situation: to whatever happened or should have happened. However, I invite you let go of the situation, which is not serving you by choosing to be free instead of being adamant that you were right. You choose love whenever you stop battling with anything that gets in the way of your inner peace. History has shown that there is a price to pay in the name of freedom and that price is peace. I believe that peace and love go hand in hand. In order to let go progressively take baby steps one day at a time. It takes time to disrupt a habit pattern. However your first step is to decide that you want to adopt a habit which is supportive of your desire for growth and your second step is to commit to making it happen by moving forward progressively. Let me give you an example: there is a situation, which troubles and causes you a lot of suffering. You want to let go of your attachment to it by finding more peace. In this light you must choose to let go of the thoughts, and feelings such as judgments, criticism, blame, victim-hood etc, which disturb your peace. 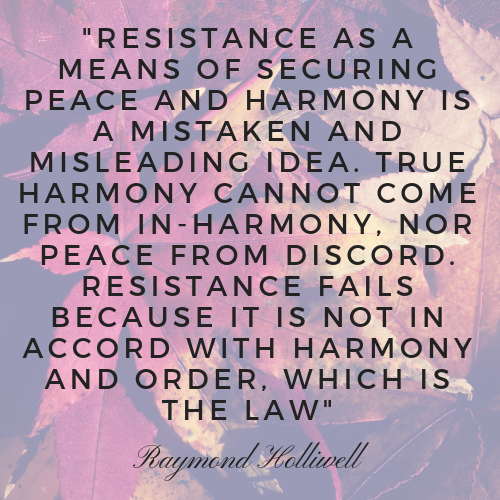 Whenever you catch yourself returning to a place of judgment, criticism, blame or victim-hood you must tell yourself that you choose peace instead. I invite you to think of what troubles you the most and to reflect on the best way you can let it go not from a place of resentment but with the intention to truly lighten up your heart and mind so that you can be at peace. 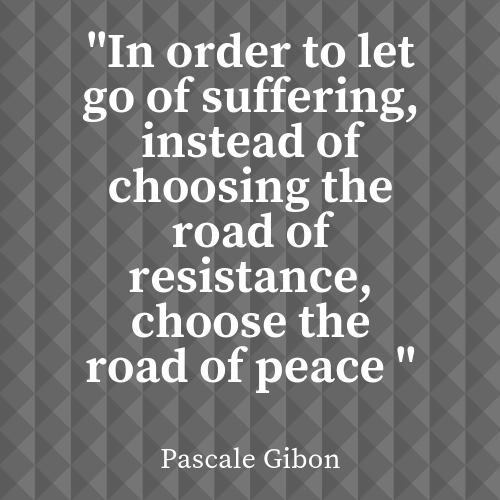 In order to let go of suffering, instead of choosing the road of resistance choose the road of peace. 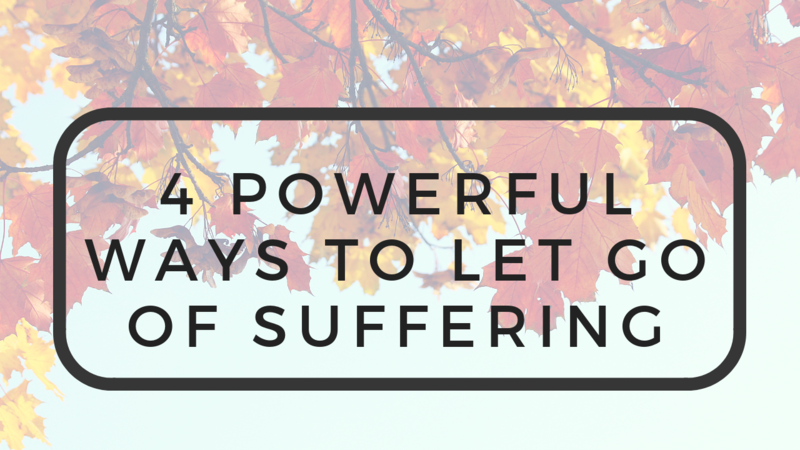 What does letting go of suffering mean to you? Do you feel that it is time to let go of suffering so that you can feel at peace and increase your well-being?